These quick and easy vegetarian recipes are delicious and are great for a hectic lifestyle. Add these as a part of a vegan dinner, or as a main course. In our last recipe we learned “how to sprout the Mung Beans“ . 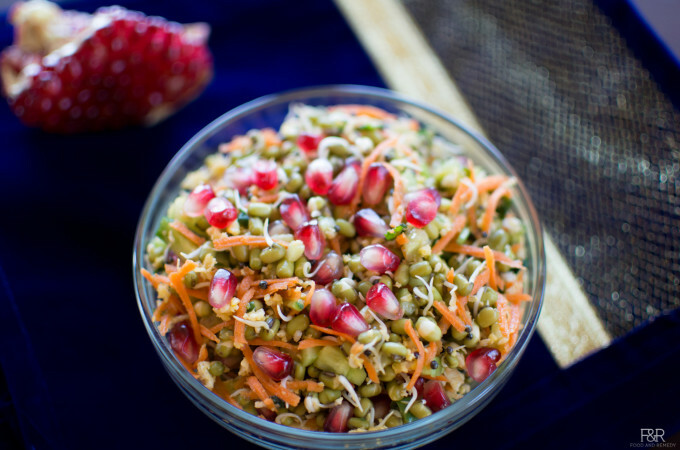 Here we have easy salad with the sprouted mung and other seasonal vegetables and fruit. 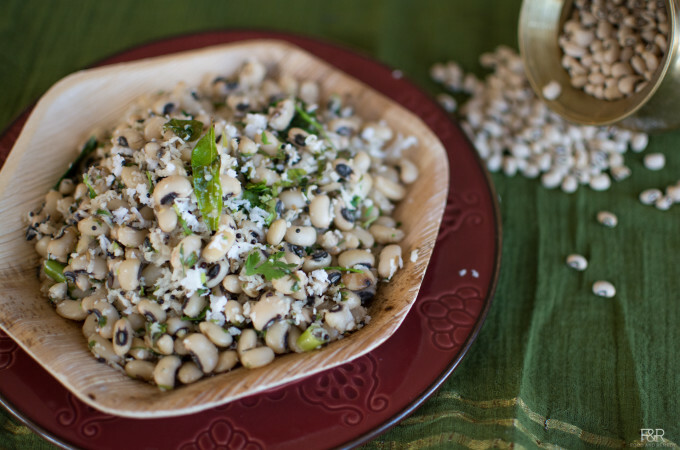 This is a great addition to a low fat, vegan dinner with great protein and fiber content. In our farmers market I do see lots of Pomegranate, so I decided to use that along with carrot, cucumber. You can also add colorful Bell Peppers, guava, apples or any fruits available in that season. 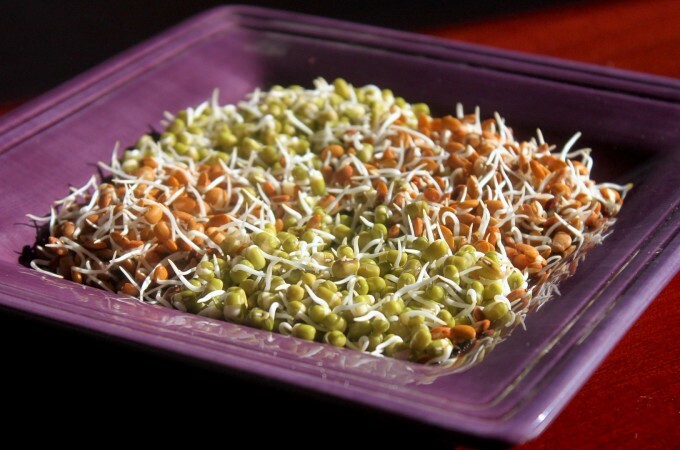 To know the benefits of sprouts please read the article by Dr.Shivashankar Sprouts – Panacea for many ills. Zucchini is one of the summer squashes. It is a very low calorie vegetable, good source of dietary fiber. Also zucchini is a very good source of potassium. 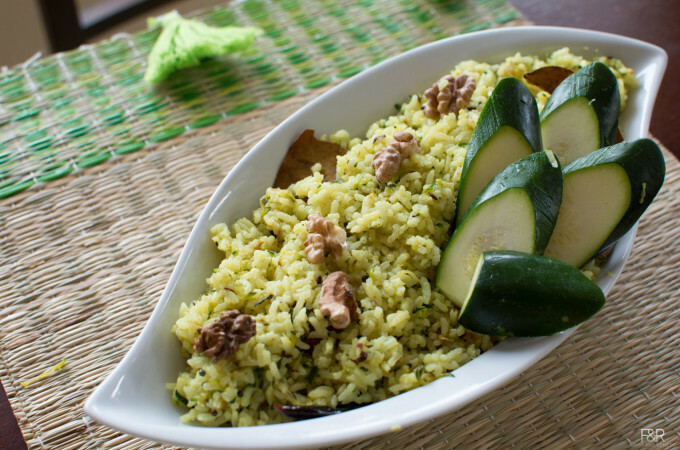 Here I am presenting healthy, quick fix for a vegan/vegetarian lunch box – tasty, delicious Zucchini Rice.